Free Adventuring for 4th Graders All Year Long. Do you know a fourth grader better yet do you live with a fourth grader? If so then you are in luck. Starting today every fourth grader in the US is eligible for a pass that provides free access to all federally managed lands and waters – including national parks, forests, wildlife refuges and marine sanctuaries. The new federal initiative with the moniker “Every Kid in a Park” offers the possibilities for ready-made family adventures. The program is expansive, inclusive and I think terrific. No matter where you live in the United States, there’s a site within two hours of your home. Think about stargazing on the rim of the Grand Canyon or hiking to an ancient pueblo at Wupatki National Monument near Flagstaff. Next year is the 100th birthday of the National Park Service and this program makes it easy to select a park and celebrate with a visit. 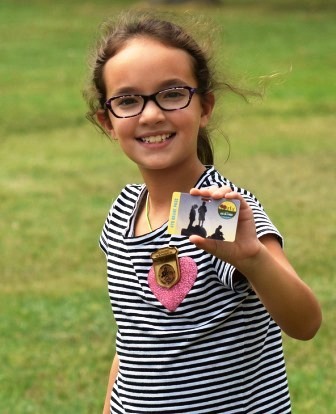 The pass is valid for the 2015-2016 school year and grants free entry for fourth graders and three accompanying adults (or an entire car for drive-in parks) at more than 2,000 federally-managed sites. Grant Kohrs National Monument in Montana connects kids with the spirit of the American West. From Boston and Philadelphia to Yellowstone and Yosemite the possibilities are endless. From hiking within the shadow of Mount Rainier or taking selfies at Mount Rushmore to air-boating in the Everglades or snorkeling within the US Virgin Islands National Marine Sanctuary, the choices for a world-class family adventure are many. 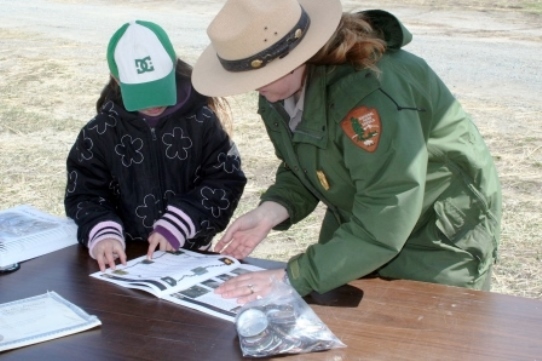 Fourth graders are invited to log onto http://www.everykidinapark.gov and complete an entertaining, educational activity in order to obtain and print their paper pass. The paper version may be exchanged for a more durable one at participating federal locations nationwide. The ancient pueblos of Wupatki National Monument are perched between the Painted Desert and Ponderosa highlands of Northern Arizona. Parents visiting the new website will find additional links for more information on planning trips to nearby public lands and some of the most remarkable places in America. Grant Kohrs National Monument demonstrates the cowboy spirit typical of the American frontier. Think about walking in the cloud forest of El Junque in Puerto Rico or counting roadrunners in Saguaro National Park near Tucson. Fly a kite on Cape Hatteras in North Carolina or kayak within Acadia National Park in Maine. So many great ways to celebrate 100 years with or without a fourth grader.